If youre a plan sponsor hoping for more guidance from the government on retirement issues, expect a surge soon. 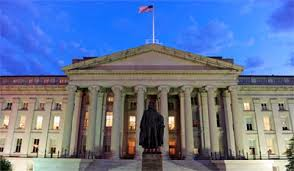 The U.S. Treasury building in Washington, D.C. Photo: Getty Images. AVENTURA, Fla. – If you’re a plan sponsor hoping for more guidance from the government on retirement issues, expect a surge real soon.